What assets could you shift from your books that would make a difference to your fixed and variable costs, valuation or tax structure? Optimize who owns what in your value stream, and who finances it. 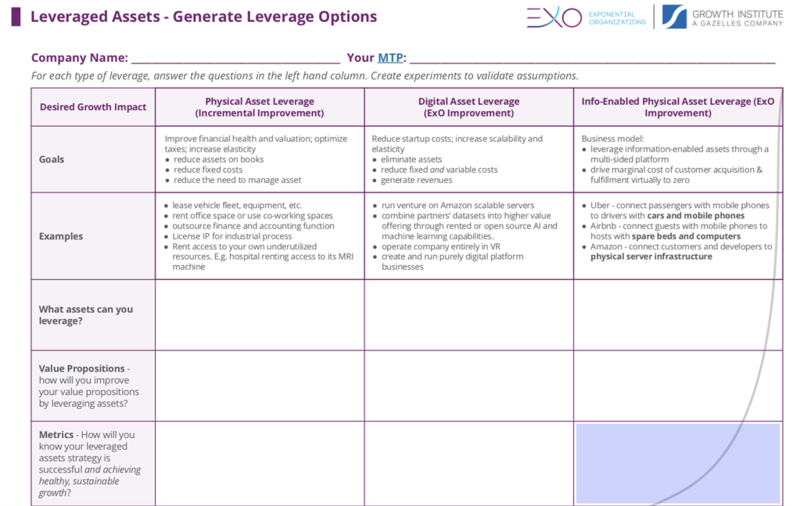 Do you have assets customers could leverage, or vice versa? Where could your physical assets be information-enabled? What assets belonging to others, could you tap into?